Across the street from Ty Warner Park and behind the autodealerships. Overall have had a great expierence with this company and they did a very impressive job with the new building and everything is very clean! With quickly putting my house on the market and moving, I had many things to deal with all over the place. This place gave me one less thing to worry about in that it's clean, safe at night, reasonably priced, and accessible at the times I needed it. I also loved the free carts and interior parking, which made loading and unloading my car sooo much easier. And I even appreciated the piped in music, which was usually a song I hadn't heard in a while. The staff is great! Thank you!!! I came in to rent a uhaul with a friend and ended up getting a unit for myself! Alberto and Charvis were very helpful and kind. Facility is new and the unis are reasonably priced. Staff was extremely helpful with assisting us during this crazy move!!! My wife and I do our annual spring cleaning around this time. You'd be amazed by how much clutter you collect over the year. 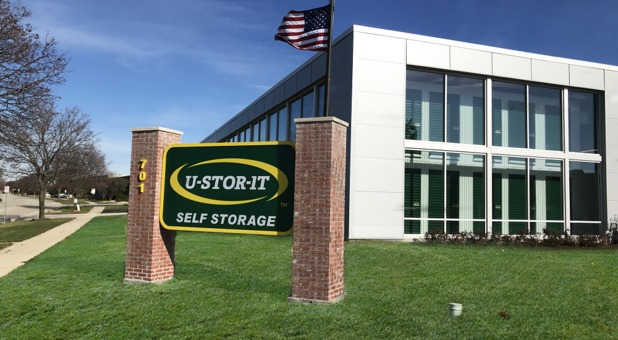 When we were looking for storage in the area, U-Stor-It came up. We were greeted with superb customer service and the facility was spotless! Best storage in town! This place just opened up near where I live and wow am I impressed. It looks great and is a welcome addition. I came in and they offered me a special. Everything is brand new and it feels great to be using a new space. The facility is extremely clean and the units are reasonably priced. Finding a storage facility that is clean and professional is hard to find. Luckily I drove by one day and decided to take a tour and get a space for my seasonal items. The price was reasonable and they even had bottled water and coffee in the office! This place exceeded my expectations! The two employees there were extremely helpful and professional. The Facility is also very nice and clean!!!! Very happy with the space that we have. Everything is inside carpeted warm and across the street from Ty Warner park. Overall a very good experience during our moving time. From the get go these guys took care of us. They stayed a bit later to get us all checked in and even gave us a discount. The manager seemed rushed and was so so helpful. These guys rock! Very happy to have this storage. Brand new and very clean. This place really wow'd us. From the second we walked in the manager was ready to answer all of our questions. We were in and out in about 10 minutes! Very safe space. Being next to Ty Warner Park, I feel very safe storing my stuff here. The manager that helped us out was very nice and got us in and out very quickly! We feel very comfortable in our choice of this storage. Very knowledgeable staff and clean spaces. Everything is indoor and locks down at night. We feel very safe with them. Finally we get a storage place that looks safe! Cannot wait for you to open!